The Peugeot Expert panel van has an impressive fuel economy, improved residual values, and lengthy service intervals. How does it fare in other areas? The Peugeot Expert received a complete overhaul in 2016, and is based on PSA’s newly-developed platform. Now into its third-generation, the Peugeot Expert is available in a choice of three load lengths (though no option of a roof height), three trim levels, three nominal gross vehicle weights, and six power ratings from the two veteran 1.6-litre and 2.0-litre PSA engines. Interested in buying a Peugeot Expert? 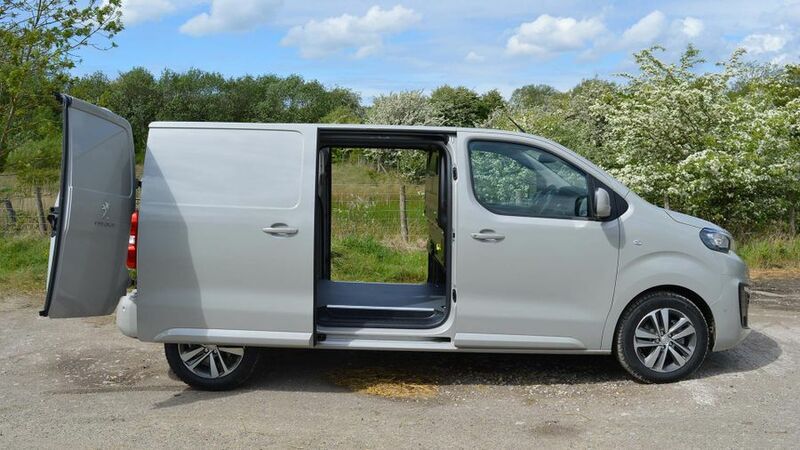 Unlike most medium sized vans, Peugeot doesn’t offer a choice in roof heights due to the small number of high roof sales. Instead, they’re offering three load lengths (corresponding to load volumes of 5.1-, 5.8- and 6.6-cubic metres). 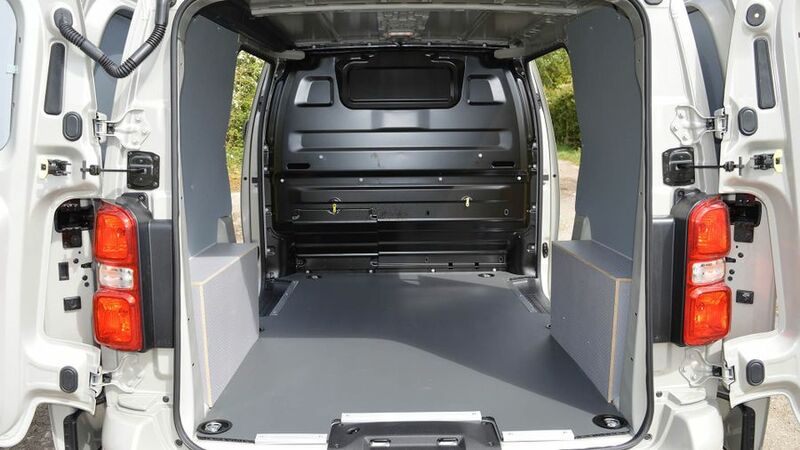 Along the floor, the cargo area measures 2,162mm (Compact), 2,512mm (Standard) and 2,862mm (Long) and there is a standard load width of 1,628mm (1,258mm between the wheelarches) and load height of 1,397mm. There is a standard full height bulkhead and twin side loading doors, which open to 745mm on the Compact and 935mm on the Standard and Long. A load-through facility in the bulkhead provides an extra 1,160mm of load length. 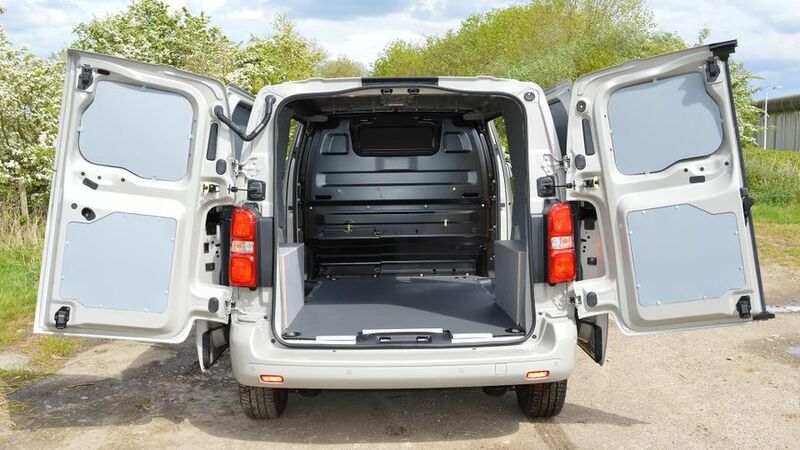 In terms of weight, the Peugeot Expert narrowly loses out to the Transit Custom for providing the biggest payload in the medium class. Gross vehicle weights vary between 2.6- and 3.1-tonnes, which provide respectable payloads of between 1,100kg and 1,499kg. In terms of the cab architecture and arrangement, the Expert ranks fairly poor. The low seating position and high dashboard means there’s poor visibility, while its narrow design and forward position of the dashboard gives a very cramped feel. The seats don’t slide back far, either, and the handbrake is located almost on the floor, which means it’s a bit of a stretch. 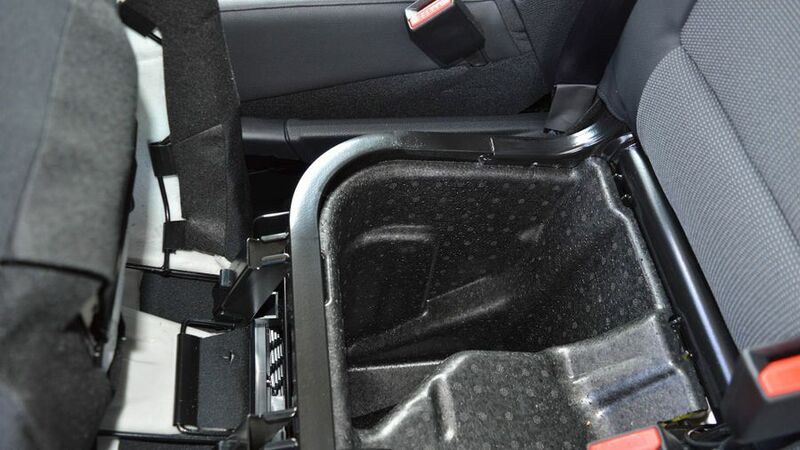 There are a quite a number of useful storage spaces, however, and the seats are comfortable. The big news regarding running costs is that the Peugeot Expert boasts the best fuel economy in its class by some margin. The 1.6-litre engine with 113bhp achieves an official 55.4mpg, which is around 25% better than the class average and around 7mpg better than its nearest competitor. Residual values have improved greatly for the third-generation Peugeot Expert, although it still trails the likes of the Ford Transit Custom and VW Transporter. The price of replacement parts remain fairly high and service intervals are set at 25,000 miles/two years. The large 22.4-litre AdBlue tank has a range of around 9,300 miles. It’s too early to give a fair assessment on the latest generation’s reliability, as it was only launched last year. However, the previous generation didn’t have a great track record, with faults varying from the power steering to the brake system. The 1.6- and 2.0-litre engines are the same as the previous generation, which have also been used in Ford vans, and are well-respected in terms of reliability. The Expert comes with a three-year/unlimited mileage warranty. The Peugeot Expert is available with two engines: a 1.6- and 2.0-litre unit – both in three power ratings. Both engines were developed in conjunction with Ford in the early 2000s, and have been used in a wide range of light commercial vehicles and cars. Asides from the entry-level 94bhp engines, all engines provide ample power and torque when carrying the full load. The range topping 178bhp is one of the most powerful vans in the segment, and achieves the 0-62mph sprint in just ten seconds. The engines are quiet and refined in the city, although a considerable amount of road noise perforates into the cab at high speeds. The engineers have designed the Expert so it has the most dynamic driving characteristics in its class, and they’ve succeeded. The centre of gravity, chassis, and position of the engine have all been lowered, so there’s very little body roll going into the corners. The Expert also has light and accurate steering. However, the suspension is quite firm, which means you tend to feel the bumps a bit more than in other vans. 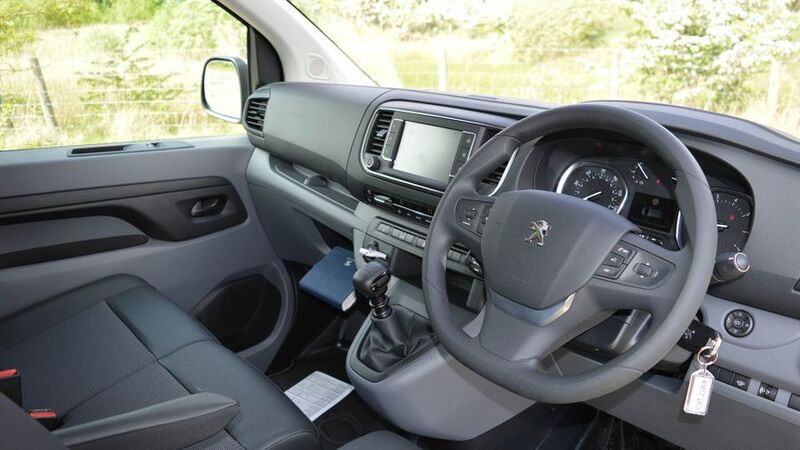 As you’d expect with a van of this age, the Peugeot Expert is packed with a host of cutting edge safety systems. Standard features across the range include ABS with EBD (electronic brake assist), ESC (electronic stability control), HSA (hill start assist), and cruise control with speed limiter. 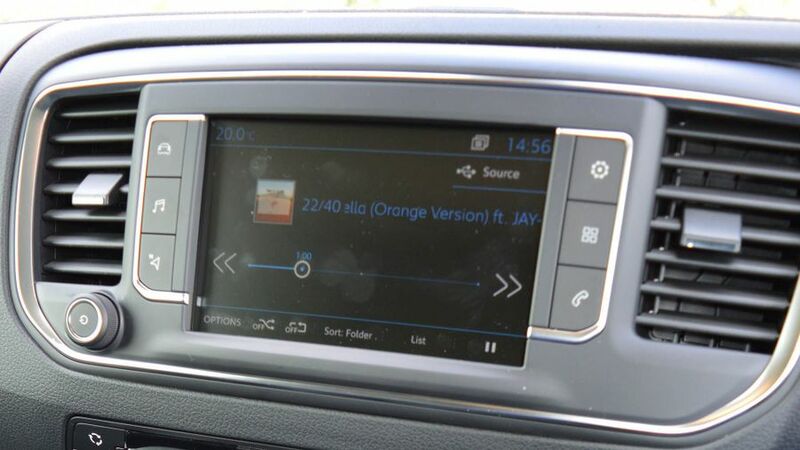 There is a driver and passenger airbag as standard, although the selective cab and cargo area remote control central locking is only fitted from the Professional spec. There are three trim levels on the Peugeot Expert: S, Professional, and Professional Plus. The ‘S’ is aimed towards the fleets and covers all the basics like front electric windows, 16-inch steel wheels, a four-way adjustable driver’s seat with armrest, a 12v socket for charging equipment, and a DAB radio with USB, Bluetooth and auxiliary connectivity. Moving up to Professional, customers also receive air conditioning, electronically adjustable and heated door mirrors, rear parking sensors, Moduwork load through facility, a 12v socket in the load area, and an upgraded multimedia system with a seven-inch touch-screen display and Mirror Link connectivity. Most of the upgrades on the flagship Professional Plus models are focused around style, with 17-inch alloys wheels, body coloured bumpers and door mirrors, and metallic paint. In terms of functionality, Professional Plus models also receive 180-degree park assist, and front and rear parking sensors with a rear parking camera. By far the biggest pull of the Peugeot Expert is fuel economy, which is around 7mpg better than its nearest competitor. 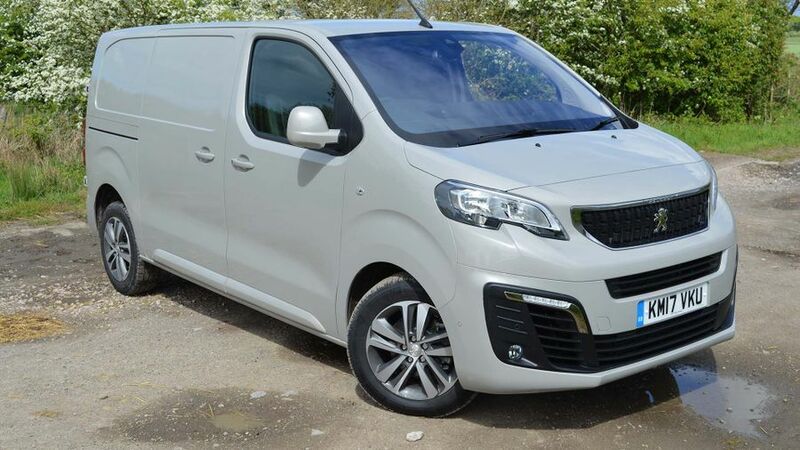 Combined with the improved residual values and lengthy service intervals, the Peugeot Expert has one of the lowest running costs in its class. Practicality is also a major strength, with a choice of three load lengths and payloads of up to 1,499kg. Peugeot dealers tend to offer a decent amount of dealer discount, too. The mid-spec Professional models are especially good value for money, as they’re packed with far more equipment and have just a £1,300 premium on entry-level ‘S’ models.